A fertility doctor has been accused of using his OWN sperm to impregnate patients. 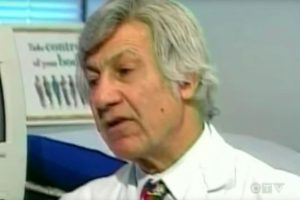 Dr Norman Barwin, now retired, is facing a class action lawsuit in Ottawa, Canada. Rebecca Dixon, 26, first had suspicions about her parentage when she was diagnosed with Celiac disease, a hereditary condition neither her mother or father suffered. She also has brown eyes when both of her parents have blue eyes. Rebecca recently took a DNA test which confirmed her worst fears, her father was not related to her. The Dixon family then found out that their doctor, Norman Barwin, had been suspended from the Ontario College of Physicians and Surgeons after he admitted to inseminating four patients with the wrong sperm in 2013. Closer inspection of pictures also raised their suspicions Dr Barwin may be the father; both are olive-skinned with dark hair. Meanwhile another woman inseminated by Dr Barwin, 25-year-old Kathryn Palmer, had made similar startling discoveries. 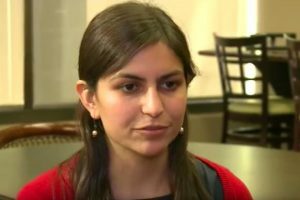 Her parents had believed they had been given an anonymous sperm donor but when Ms Palmer researched her family tree via a DNA website, she found she was related to a cousin who was also related to Dr Barwin. Ms Palmer said Dr Darwin confirmed to her in an email that he was her biological father. “He told me initially that he had no idea how it had happened. And then later he told me that he had been testing a sperm counter and this must’ve been some contamination,” she said. Lawyers now claim DNA tests prove Palmer and Dixon are half-sisters who share the same biological father. Dr Barwin has not responded to any of the allegations in the lawsuit. UKAS accreditation held for DNA relationship testing. All Hair Strand Testing (HST) is carried out at a partnered UKAS accredited Laboratory.